Former employees of the Lake Street Sears department store, located in the Midtown Exchange building from 1928 to 1994, returned to the site of their old workplace, now home to Midtown Global Market, for a reunion on Thursday, September 17. This was the first trip back to the historic building for many since Sears closed its doors on December 31, 1994. 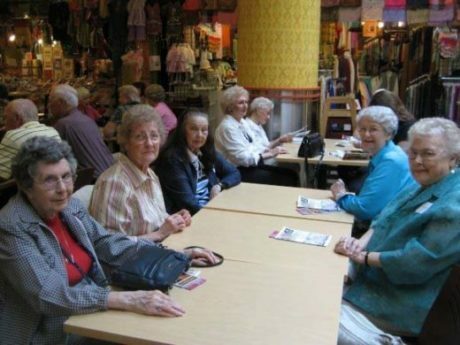 The group met for a reunion, a continental breakfast prepared by the chefs at Midtown Global Market, a tour of the Market and The Chicago condos, and had a chance to share stories about their former place of employment. Does anyone have any photos of the basement departments — sign shop and display from the 1950’s and 1960’s? Thanks much.